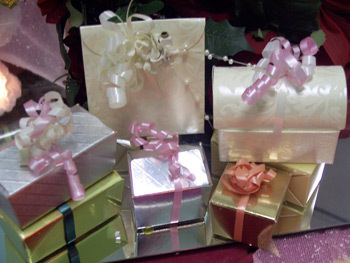 Small wedding favours boxes, many colours and designs available. Each tied with decorative ribbon. Perfect for truffles, chocolates and personalized favours.